Bengaluru: Hindustan Zinc won three awards – “Best Sustainable Practices” , “Best Sustainability Report” and “Best Carbon Foot Printing” in Sustainability dimension of “National Awards for Excellence in CSR and Sustainability”. These awards were presented to Hindustan Zinc for the unique initiatives taken by the company on social and environmental fronts, benchmarking in sustainable development and transparent reporting to stakeholders. 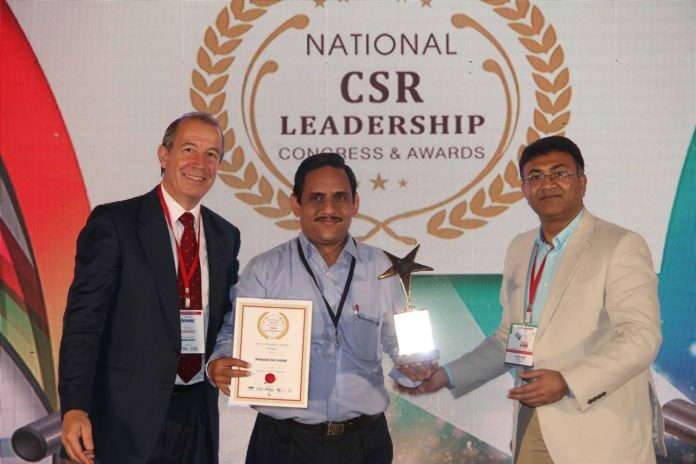 On behalf of Hindustan Zinc, the awards were received by Mr. Dinesh Paliwal – Head Environment, Rampura Agucha Mines on 20th September 2017 in “National CSR Leadership Congress & Awards” organised by World CSR Day at Bengaluru.